My Donate is an easy way to support the Metropolitan and City Police Orphans Fund. You can also set up a fundraising page if you are doing an event and wish the Fund to benefit or if you know someone who is raising funds. My Donate is closing on 30th June 2019 so no donations can be accepted after that date. 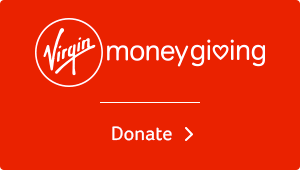 Please use Virgin Money Giving below if this applies to your donation or fundraising event. Easy Fundraising is a simple way to raise money for the Metropolitan and City Police Orphans Fund at no extra cost to yourself. 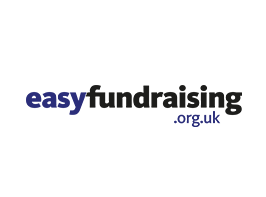 All that is required is when you shop online you go through the Easyfundraising website or mobile phone App. Most retailers are part of the scheme and when you make a purchase a % of the cost is donated to our charity. Shopping is exactly the same with all offers and deals available as if you went direct to the retailers site. So what have you got to lose try it today. In 1945 my Grandfather a serving police officer died at the age of 39. He died of complications following routine surgery, he'd developed a Deep Vein Thrombosis and died from the resulting Pulmonary Embolism. He was survived by his wife and four boys, the youngest of who, was just eight weeks old. These four boys were assisted by the fund. It was often recounted the positive impact the fund had on their lives particularly the parties at Christmas they attended and they made their situation more bearable. I never knew my grandfather, but was immensely proud of him being a police officer, and couldn't imaging how hard it was for my grandmother in that era, when help was hard to get. It was when my husband was diagnosed with a DVT that I was forced to think about what could have so easily become my reality. Whilst sitting waiting for a diagnosis with my husband in the hospital, I looked up and there stood in front of me was a Met Police officer, it was then I vowed if I got a VMLM place this year, this was what I would raise for... just a small Thank you for those 70+ years ago, that kept a family together, and grateful recognition that our situation was easily resolved. Virgin Money Giving is an easy way to support the Metropolitan and City Police Orphans Fund.